The most accurate copy of a museum original one can find! No compromise! 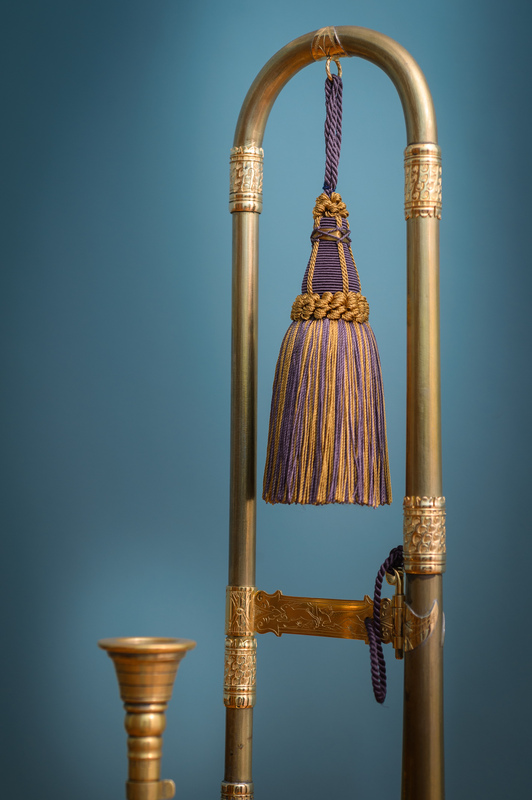 The sackbut is an instrument that dates back to the 15th century and developed over time with not to many changes. The most comprehensive data-base has been compiled and updated by Will Kimball. Look there to read up on the early history. 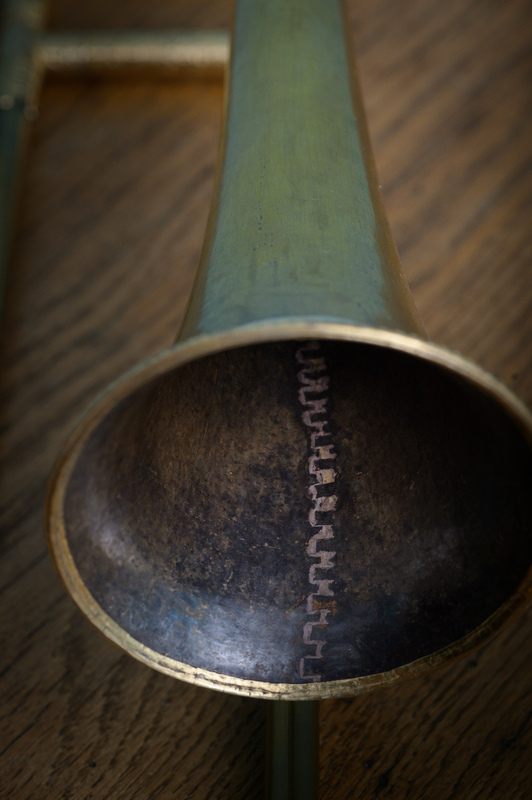 The most remarkable feature of the early sackbut (until around 1730) is the narrow bore, the extremely light construction and the voice-like quality of the sound. It sounds like a human voice and blends with voices extremely well. 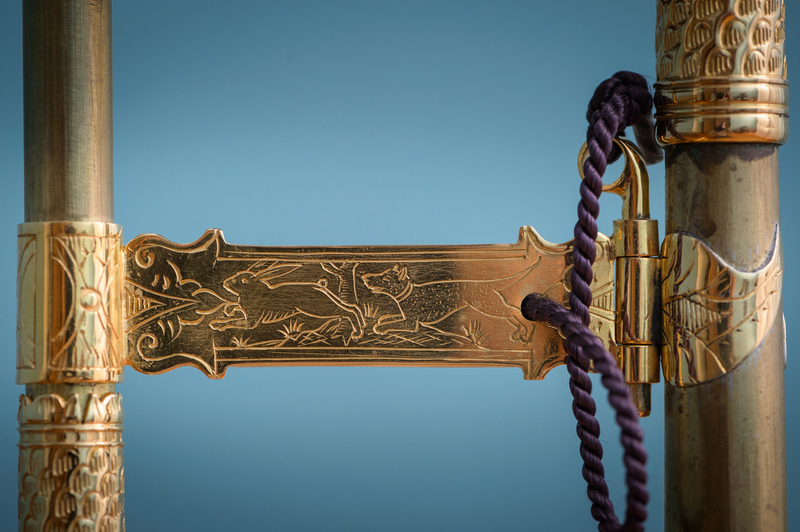 Also it was used as the bass in a consort of transverse flutes and nobody thought about that as strange. This might be sufficient to show how dramaticly different it is from the modern trombone, even though they look very much alike. 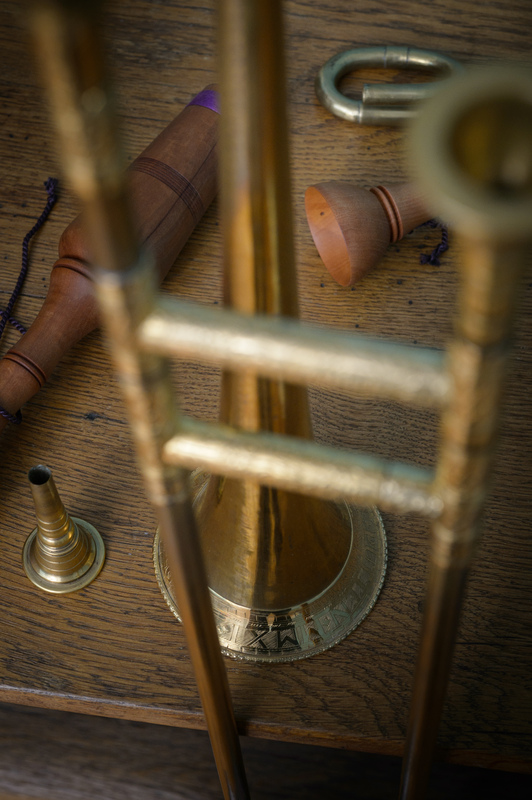 As with a singing voice, on a sackbut one has almost total freedom to place the notes wherever one needs them. The instrument is very flexible and the player has to match this. Poor singers make poor sackbut players. Sackbuts work very well with voices and other wind instruments. 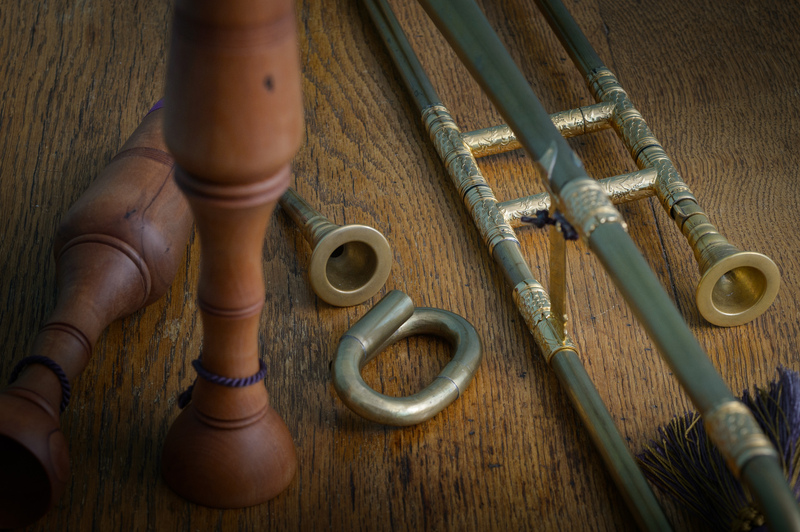 The most famous pieces for sure are the ensemble canzonas by Venetian composers like Gabrieli, scoring for cornetts and sackbuts with up to 22 parts. 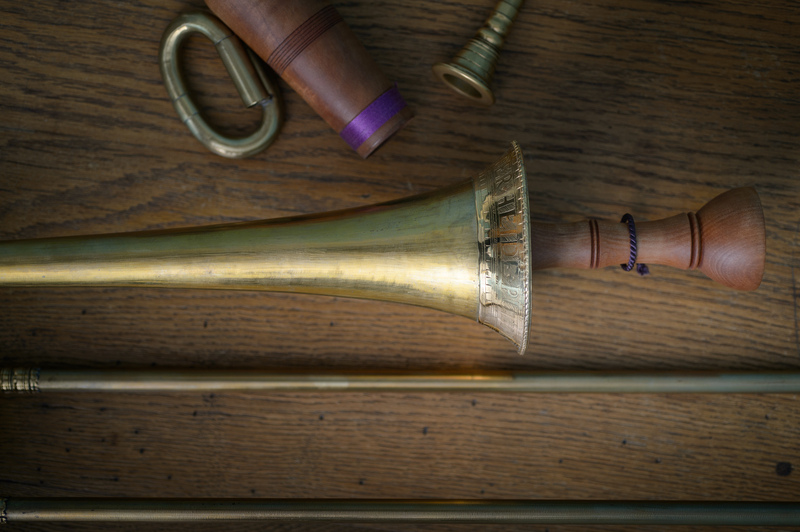 In the early years the sackbut formed the bass of the so called Alta Capella, an ensemble of the time around 1500, that played or improvised on vocal 3-5 part vocal music with shawms, cornetts and sackbuts. 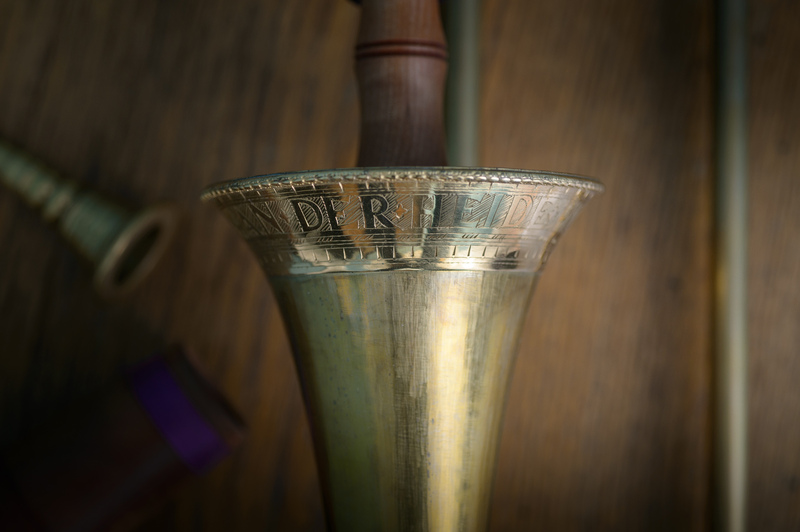 Monteverdi used the sackbuts for the special underworld sound in his Orfeo and German composers like Buxtehude and Weckmann explored sound effects in their funeral cantats, scoring for the instruments using mutes. My love to the sackbut dates back a long time. Still a high-school student playing the cornett, I went to attend a master Class with Bruce Dickey and Charles Toet at the The Hague Conservatory around 1980. There I meet Paul Smit from Utrecht, who since then remains a friend for life and who was the first sackbut player to use exact replicas from museum instruments, made by Heinrich Thein in Bremen. No heavy bells, no water keys, no galvanized inner slides. And he was the first person I heard playing the sackbut and I understood the words he was singing into it at the same time: Ave Maria!